Some of the best consumer cameras for use in low-light are Fuji’s X series which use the innovative X-Trans sensor. Compared to a DSLR they are all small and light for travel and their unique sensor design gives them low noise and high sensitivity – ideal for landscape astrophotography. But which X-series lens should you buy for night landscapes? 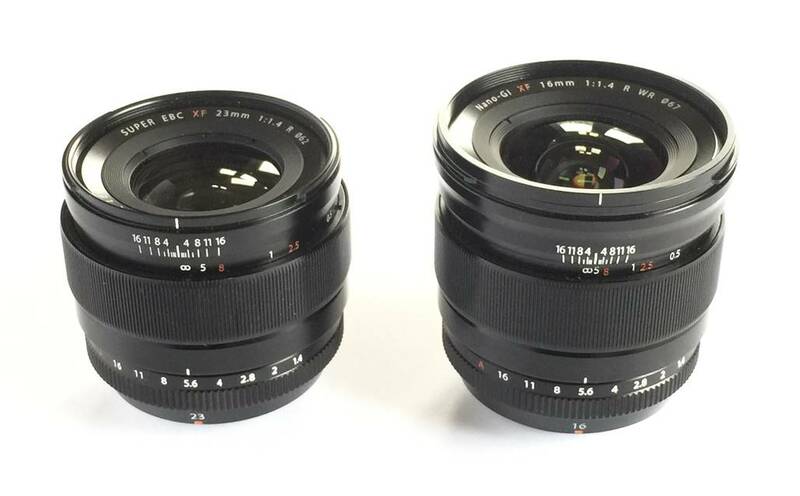 The obvious choices are the 16mm and 23mm XF F1.4 lenses. Both are relatively expensive, fast primes; both are made in Japan and promise those all-important (pseudo) manual controls. 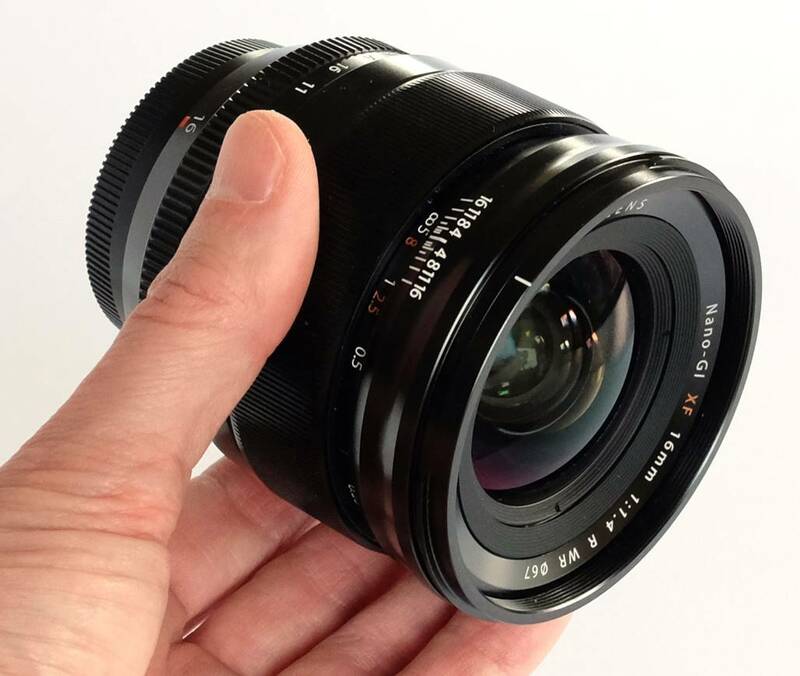 I have previously reviewed the 23mm and found that it had a bit too much edge distortion – coma and/or astigmatism – wide open. 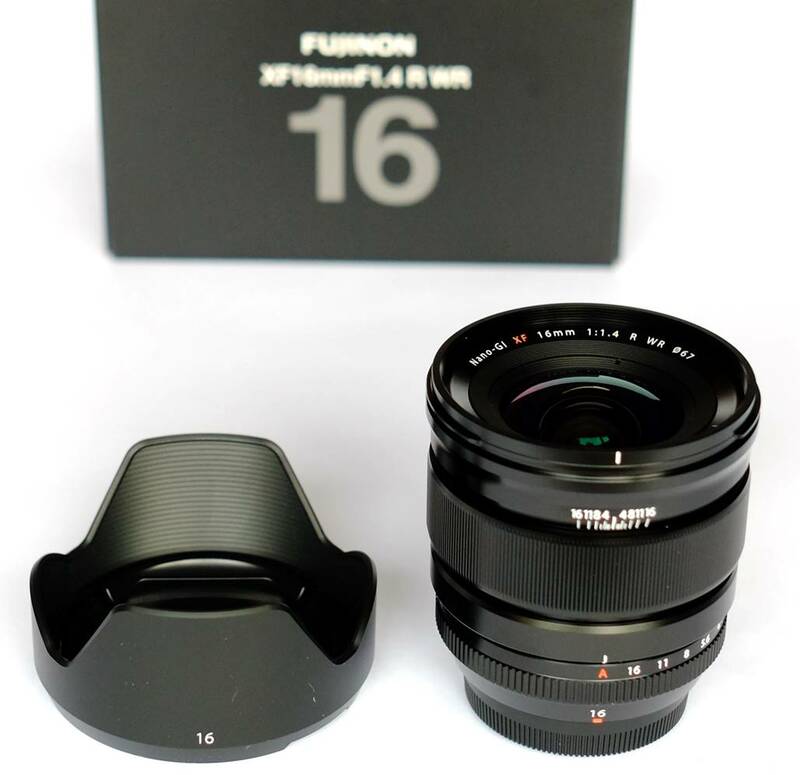 Here I take a look at the other prime candidate (excuse the pun) – the Fuji XF 16mm F1.4. If you’re a newcomer to Fuji’s X-series lenses, the first thing to understand is that there are two basic lines: CF and XF. The CF lenses are largely plastic and made in China. They look a bit cheap and insubstantial, but optically they are pretty good. Then there are the XF lenses, like the 16mm on review here, which look very similar, but are much higher quality and are made in Japan. The XF 16mm is a beautifully made thing. Coatings are top quality and mechanical build quality – it’s all made of finely machined metal - is of the highest order too. To match the capabilities of the X-Trans range of camera bodies, the latest XF (‘WR’) lenses are weather resistant. The XF series lenses employ aspherical lens elements to maximise optical performance. The XF 16mm is longer, wider and heavier than the XF 23mm. It has a larger, more heavily curved objective lens too and contains 13 elements compared to 11. But it is still quite compact compared to most wide-aperture full format lenses. At first glance, the XF 16mm appears to have old-fashioned manual controls. There is a proper aperture ring with click-stops that give two intermediate apertures between the major ones. The focusing ring looks like a manual one as well, with proper distance settings and defined travel, but it actuates the autofocus motor. Nonetheless, it’s very precise, if rather noisy (something that is a real problem for video, when I usually switch off autofocus for these lenses). Vitally for night use, the XF 16mm has a proper infinity setting (and you can set it slightly past infinity, if you need to). It also has a Vernier scale to show you depth of field for each range and aperture setting, which might come in handy if you’re trying to juggle aperture and depth of field to include closer subjects in that landscape astrophoto. If you slide the focusing ring forwards, it locks the focus – another handy feature for astro’ use. All the controls operate with perfect weight and feel. Like other XF lenses, this is a first-class piece of engineering, the equal of any Zeiss or other high-end lens in terms of build quality. Fuji 16mm F1.4 is larger than the 23mm F1.4, but otherwise very similar. This review is mainly about night-sky performance, but suffice to say it’s excellent during the day, producing wide, flat, sharp and detailed images. The high optical quality mean it still works well at the full aperture of F1.4, remaining crisp and easy to focus with no obvious softness. The wide aperture comes in very handy for interiors and other low-light conditions where you don’t want flash. Chromatic aberration is well-controlled and the XF 16mm creates nice Sun-stars. The wide field makes for more naturally dramatic landscapes than the 23mm, but is less useful for portraits. 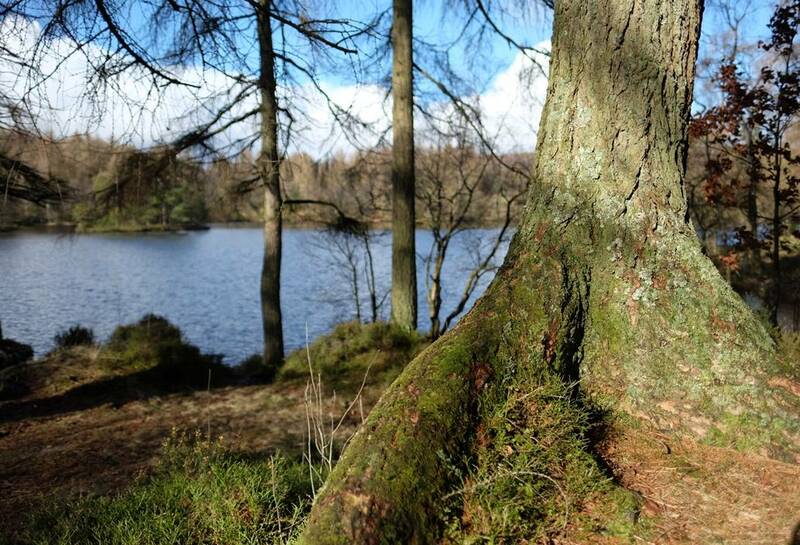 Still, used wide open you can get quite a shallow depth of field – unusual in such a wide-angle lens (see below). The 16mm’s wide F1.4 aperture allows some depth of field control over wide-angle landscapes. The first thing to note is that getting good focus, using the camera’s magnified live-view, is rather harder than with the 23mm, because stars are less obviously in or out of focus given the smaller image scale. But, like the XF 23mm, manual focus is precise and easy to use. I really like being able to manually set the aperture on the lens itself and the click-stops are very positive. This is much easier in the dark than trying to do it with a screen-based menu where you can’t find those tiny buttons or thumb wheels. On an APS-C camera like the Fuji CSCs, 16mm is roughly the equivalent of about 24mm full-frame, so this is a proper wide-angle lens. At a focal length of 16mm, we need to be able to get exposure time down to below about twenty seconds to avoid star trails, whilst keeping the ISO at a level that minimises noise. This is readily possible, given the 16mm XF’s wide angle and small image scale; in most cases you won’t need the maximum aperture or exposure times except under the darkest skies. 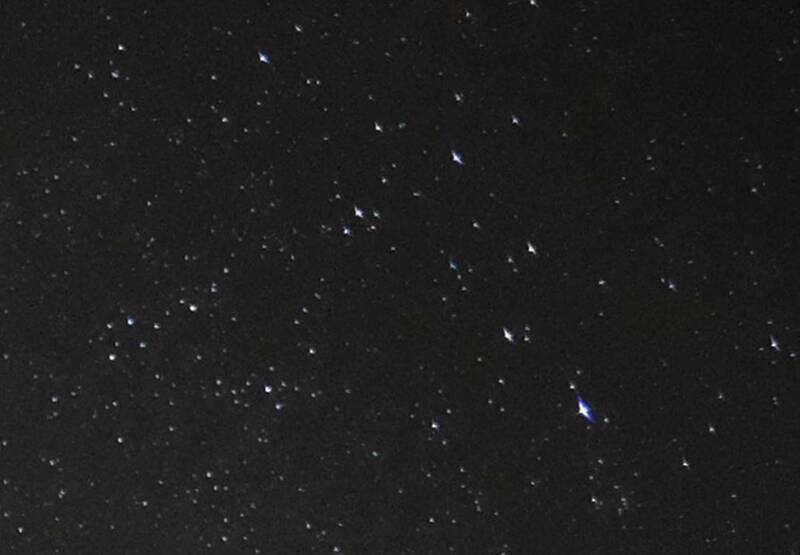 An exposure of about 13-15s yields lots of pin-point stars and some nice nebulosity and Milky Way in a dark sky too. It requires an ISO of 1600 to 3200, which gives a reasonable noise level in these cameras. Vignetting isn’t a significant issue, as it is with some lenses, but like the XF 23mm the very edges (and especially corners) of the field show quite a lot of coma and astigmatism that distorts stars into ovals. However, this effect is less pronounced than with the XF 23mm, even wide open at F1.4. Meanwhile, stopping the lens down to F1.8-F2.0 removes most of the off-axis aberrations, whilst still allowing in plenty of light with a 13-15s exposure at ISO 3200. In any case, there is enough field width to crop out the edges for most compositions. Overall, off-axis distortion of stars is much less of a problem than with the XF 23mm, partly because this lens is better technically, but mainly just due to its wider field and smaller image scale. The other negative point I noticed with the XF 23mm is violet bloating, due to chromatic aberration, on brighter blue or white (O-A) stars. However, whilst the XF 16mm still produces these violet haloes around bright stars when wide open, stopping down to F1.6-1.8 reduces the false colour substantially whilst still allowing the lens to collect plenty of light. Below are a pair of images at F1.4 and F2 along with 100% crops of the top right corner of the frame, showing the way coma and astigmatism reduce as the lens is stopped down. 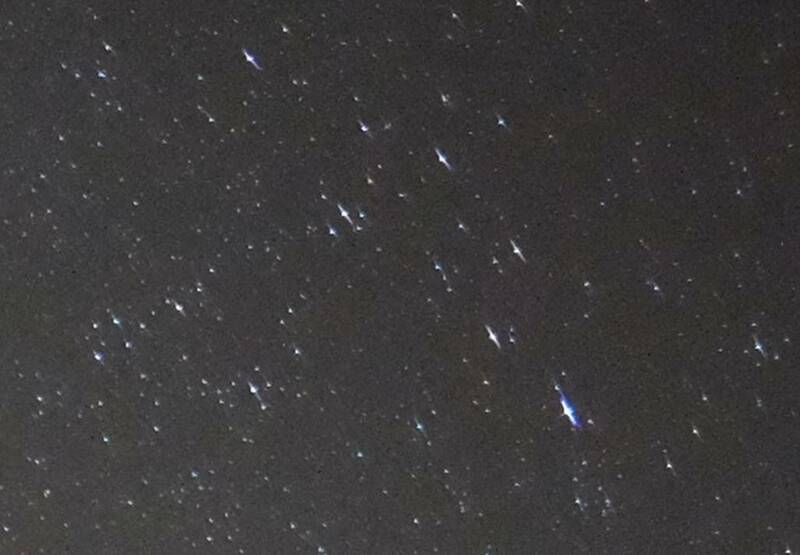 Both images were 13x at ISO 3200. Fuji XF 16mm F1.4: Some astigmatism/coma. 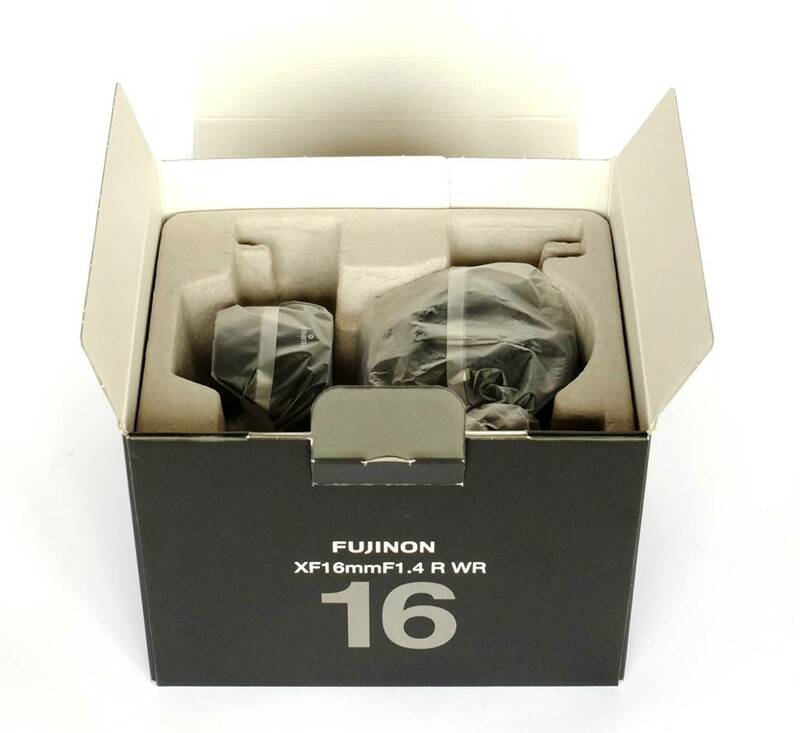 Fuji XF 16mm F2.0: coma/astigmatism are much reduced. 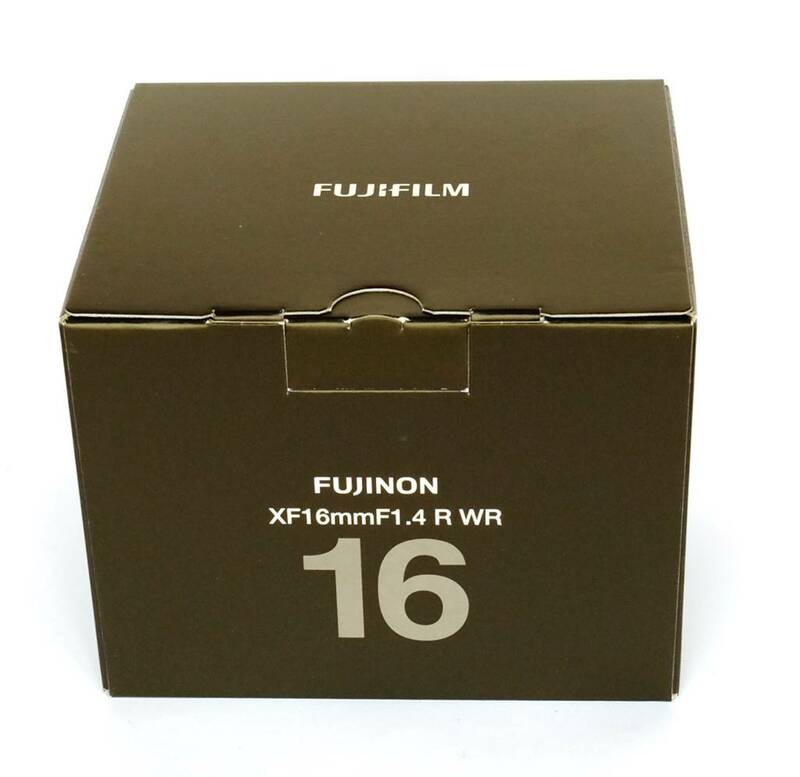 The XF 16mm is a beautifully made, compact prime with a wide maximum aperture that’s completely usable: another excellent Fuji lens during the day – sharp and detailed across the frame, with lots of low-light potential and a very wide field of view. I really like the feel-like-manual controls, especially the focus – as with the 23mm, I almost always focused this lens manually. At night, the good news mostly continues. The wider angle gives night landscapes more ‘wow’ factor than the 23mm and the smaller image scale allows longer exposures too. The focus control is perfectly accurate enough to get good focus on stars – something lots of autofocus lenses struggle with - although the small image scale makes this a bit harder than with the XF 23mm. The clincher, though, is that the smaller image scale and better optical properties of the 16mm mean edge distortions are less of a problem, which makes it a better bet for landscape astrophotography than the XF 23mm and one of the best lenses I’ve tried for landscape astrophotography. An outstanding daytime lens, the XF16mm still works very well for night landscapes, with edge aberrations acceptable at F1.4 and well-controlled from F1.8-F2.0. 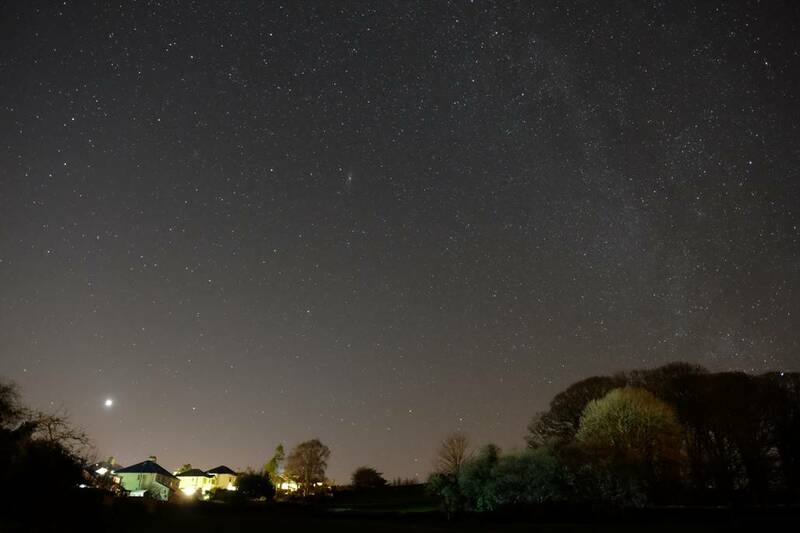 Given its wide angle it can cope with quite long exposures and capture a lot of light if you get access to very dark skies. Highly recommended. Update: I was kindly lent this lens by Andi Turner (thanks, Andi!) and it was a good ‘un, so good that I bought one. Unfortunately, the one I bought was soft like a cheap kit zoom and I immediately returned it. Caveat Emptor – this isn’t the first faulty wide angle lens I’ve bought.